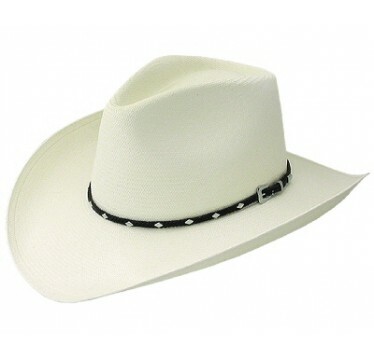 Our Stetson 8X Diamond Jim cowboy hat is one of our best selling shantung straw cowboy hats. 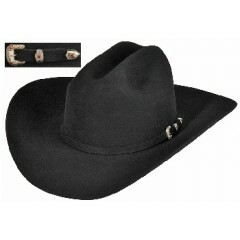 The Diamond Jim has a 4 1/4 inch brim and 3 1/2 inch crown with a nice black hat band with silver conchos. Robert Duvall, Michael Caine and Kyra Sedgwick wore the Stetson Diamond Jim in the movie "Second Hand Lions". Click Picture Thumbnails To View.